Top 20 DJ mistakes to avoid at all costs - Don't hold yourself back! This list of the top 20 DJ mistakes will help you to avoid some of the most common mistakes made by DJ's of all levels. Avoiding these mistakes will get you a better name as a DJ, you'll progress faster, and you'll keep clubbers and club owners happy. As you're learning to DJ, mistakes can, and very often do happen. DJ mistakes are common at the beginning, but the only way to progress in this industry is to realise our mistakes and to learn from them. Many DJ's don't realise that there are other things to consider after perfecting beatmatching and mixing. Nobody is perfect and even experienced DJ's make mistakes now and again. But DJ mistakes shouldn't happen over and over again at every single gig you play. This is one of the most common DJ mistakes and something that drives many sound engineers nuts! If you see red lights on the mixer, amplifiers or any other equipment you need to act immediately to correct it. Although there is plenty of leeway on most mixers and a couple of reds may not cause a problem, it's always good to keep out of them just in case. If you see reds you are risking damage to expensive equipment including amplifiers and speakers. You are also causing speaker distortion which will sound terrible for the crowd, and will also take its toll on your mixing. You'll most likely have a sound engineer working alongside you in the booth. If you fail to correct reds the only option for the sound guy is to turn you down to avoid losing his job. And if this mistake gets back to the owner you could be the one loosing your spot at that venue. Be mindful of your lights and keep them green from now on by choosing the right settings. Keep gains at the 12 O'clock position, keep the master volume at the right level, and don't mess with the amplifiers. 2. Going straight in with peak time bangers too early. Another super common one and number 2 on the list of DJ mistakes, and I've seen this a lot! DJs will be so excited to play that they'll jump on and stick their biggest tracks straight in. There are only few people dancing, most are getting a drink at the bar and warming to the idea of dancing. Along comes the opening DJ and drops the biggest tunes in their collection in an attempt to get more people on the dance-floor. This BIG DJ mistake just doesn't work. The role of the opening DJ's are to warm up the crowd slowly. Start off with tunes that will build anticipation. And when you hand it over to the next DJ he has an easier job of continuing the vibe. The line up of DJ's is a joint effort, all DJ's need to work off each-other to move the crowd through the different stages of the night. Learning how to read the crowd will help you to decide what tracks you need to play. We'll learn more about reading the crowd in mistake number 7. 3. Drinking before DJing at a venue. This is probably one of the most embarrassing DJ mistakes you could make. If you get to the the club a little early it may be tempting to have a few drinks while you wait to go on. If you get nervous before playing like many of us do, you may think a little drink will help. This is actually a big mistake and just like drinking and driving, drinking and mixing don't go together well. You'd be surprised at just how much brain power it takes to pull off a good mix, let alone a full set. Drinking will slow your brain down and make a mess of your mixing. I've seen good DJ's make huge mistakes because of drink and totally ruin their reputations. Try not to let the nerves get in the way, once you get through that first mix you'll usually feel a lot calmer. And without the drink you'll be a lot sharper, you'll play better, and you can enjoy a drink after your set. 4. Playing endless crowd requests. There's nothing wrong with jotting down a note of a few requests, but don't feel the need the fulfil them all. You should have a basic plan of how you want your set to roll, and breaking it up with random requests could upset the majority of the crowd. If you think the request is appropriate and could mix well into your set, give it a go. But if you're there to play a funky house set, don't feel the need to play a UK garage request and risk upsetting the crowd. Just tell the person that you don't have it, even if you really do. Your set and the rest of the crowd are more important than satisfying a single person. And remember the club owner, managers, or promoters may be listening, don't loose your spot just because of a request. 5. Not recording your DJ mixes. Whether you're a beginner or an experienced DJ, you should make it a point to regularly record your mixes. Listen back in the car or at work to figure out how the mix could be improved. This is something that I did a lot in the beginning, and still do at least once a month now. Critique your beatmatching, EQing, use of functions like loops, samples, effects, and how well your tracks compliment each other harmonically. If you don't think the mix could be improved, give it to a friend or upload it to YouTube and ask for constructive criticism. This is a great way to improve your mixing and it gives you a good idea of what other people are hearing. But if you're uploading it then don't be too sensitive to peoples comments, you'll always get some negative words. If you reply and react negatively it'll look bad for any important people that may find your mixes. If promoters see this you could potentially loose awesome gigs and other good opportunities. Either ignore the comment and let other people reply, or delete it and forget about it. Try using a simple program like Audacity to easily record you mixes. You may need an audio interface to connect your equipment to your computer. If you're using software there should be a record function, you can start recording with the click of a button. 6. Not filming yourself mixing. If you play in front of a crowd, people will be watching you and vibing off of your energy. If you come across as uninterested, boring, or just being there for the money, the crowd will react negatively. You need to be at one with the crowd, dance how you want them to dance and interact regularly through your set. When people see you being yourself and having a great time they'll also feel less intimidated to get on the dance floor. Film yourself whilst playing at home and get into club mode. Act as if you are playing at a venue, then watch back to see what other people see. You'll be able to see exactly where you need to improve, and you can keep filming until you are happy with the show you are putting on. When you're filming, record the audio at the same time as mentioned in DJ mistake number 5. The aim is to have a good time behind the decks while simultaneously making the audio sound great. Get this perfected before searching for any serious gigs. 7. Not reading the crowd, and playing for yourself. This is another massive one in the top 20 DJ mistakes that many DJ's continuously ignore. DJ's will get so exited about playing a live gig that they'll just drop the tracks that they currently enjoy the most. Just because you love a certain track, it doesn't mean that particular crowd will love it. It's your job to entertain the crowd and to keep them happy from the start. You should know exactly what they are expecting before you even get to the club. And when you are there you should be able to read their current mood, and keep the energy building throughout your set. Check out my article on crowd reading here, this is an important skill that every DJ should master. You're there to serve the crowd, get it right or you could lose your spot at the club. 8. Blaming the crowd for an empty dance floor. I've heard DJ's say "good luck with that boring crowd", or "It's a crap night, no one is up for it". In reality they probably haven't read the crowd properly and built the energy needed to get them dancing. If people have taken the time to leave their homes and travel to a venue then they are definitely up for it. They're looking forward to hearing the type of music that gets them in the mood for dancing. When the right DJ comes along and figures out what the people want they'll respond accordingly. If a DJ ever tells you the crowd are boring, show him what you can do and give the crowd exactly what they've been waiting for. I've taken over from this type of DJ and turned the vibe around within 3 tracks. Again read my article on reading your specific crowd HERE. This is the most important thing to get right and it can transform a party in minutes. 9. Giving out poorly mixed CD's or MP3's. Here's a common one for our list of DJ mistakes especially amongst beginners that are keen to impress. You'll learn in DJ mistake number 15 that live mixing doesn't have to be perfect every time. But if you're making mixtapes your mixing should be on point all of the way through. This is something people will listen to on multiple occasions, and bad mixes can stand out like a red clipping light! It can be difficult to mix flawlessly for a full 80 minute CD, but take the time to get it right and you'll get a much better name for yourself. Practice tip number 5 and make mixtapes for yourself until you can't spot a single error, then hand them out. Put your mixes on YouTube, Mixcloud, and post them to your Facebook fan page etc. Your fans will love to listen at home and you never know who else will find it! You could end up with your dream gig just because of a mixtape that fell into the right promoters hands. 10. Refusing early time slots. I've known DJ's that only want the peak time slot. They want the crowd to be at their peak for their set. The thought of playing to an empty dance floor scares them. Playing a warm up set to an empty dance floor is nothing to shy away from. These sets can actually be less stressful once you get used to them. You should never turn down a slot at any venue no matter how lame the place is. These are all great learning experiences and will ultimately lead to you becoming a better DJ. If you really want that peak slot then stay in the promoters/owners good books by taking every booking they throw at you, eventually you'll get the better slot. 11. Playing the same set - not mixing it up. Some DJ's will have a list of tracks that they know work well together, they'll get them in a good sequence and stick to it. Don't get me wrong, there's nothing wrong with planning the tunes you want to play in advance to prepare your DJ set for the best. But what you would normally do is take enough tracks to switch and change the mood depending on the crowd. Different crowds will react differently to your pre planned set. It may work sometimes but you should have some flexibility. You need to have the ability to change the mood of the crowd by dropping in different tracks as needed. Sticking to one set can also hold you back in progressing as a DJ. Even if you think you're a mixing master, you will still learn new tricks from mixing different tracks together. Practice at home by mixing the most random of tracks together, and become great at mixing tunes that you wouldn't normally match up. 12. DJ mistakes - Not chosing a DJ name. When promoters book you they may want to make flyers, or post set lists to their social media etc. If you have a DJ name this will look more professional than using your real name. Plus people will remember a DJ name that is well chosen and stands out. If you put on a great show and people remember your name, there's more chance of future gigs. People can also find your social media easier and connect with you, download your mixes, and book you for their venue. In my personal experience I have been able to land lots more gigs by using my DJ name rather than my actual name when applying. Give it a try and see if it changes your response rate from club owners and promoters. 13. Relying on BPM counters and sync. BPM COUNTERS. This is one of the beginner DJ mistakes that some DJ's just can't get their heads around. If you're using certain players or software the sync can beatmatch for you. But we're talking independent players or mixers without this function, they do still exist! BPM counters are a great way of speeding up the beatmatching process. But just because both counters are reading 133 BPM doesn't mean they are correctly beatmatched. Look at how far you can move your pitch faders between each BPM. Move deck ones fader as far up as you can whilst keeping the counter reading 120 BPM. Then move deck twos fader as far down as you can whilst keeping the counter reading 120 BPM. How quick does that beatmatch drop out? Pretty damn quick. SYNC. The sync button is an awesome feature on modern DJ equipment, it's changed mixing in so many ways. But DJ's need to realise that it doesn't always work! Some genres of music respond terribly to the sync function so beatmatching is still essential. Another thing to consider is, what you would do if the BPM counters or sync stopped working? Or what if you arrived at a club that used equipment that doesn't have BPM counters or sync? Beatmatching is an essential skill as a DJ. We should all learn to beatmatch perfectly and stop relying on BPM counters and sync for every mix. Learn all about beatmatching in my essential mixing guide HERE. 14. Taking your buddies to the venue to party in the booth! Taking your friends with you to the venue could be a great tool for helping to fill the dance floor, if done right. If your friends are confident enough to get up there and cut up a rug while the floor is empty, it'll encourage more people to join them. But taking your friends into the booth with you is just as bad for the crowds energy as watching a boring DJ. To the crowd it looks like a mess about with the boys, just like a quick mix in the bedroom before a night out. It could even be intimidating to clubbers and scare them away from the dance floor. We're talking DJ mistakes but your friends could be the ones at fault this time. By all means take them along to the club but don't let them in to the DJ booth. You should tell them that they need to respect your job. And tell them to wait until your set is finished, then you can join them for a drink and a dance. You're there to do a job as a DJ and to entertain the crowd. You wouldn't take your friends to your regular day job, so why take them in to the booth? Treat the job with respect, people have paid good money for entry so give them the top night that they deserve. 15. Striving for mix perfection at gigs. As we mentioned earlier, even experienced DJ's can mess up occasionally. It's a fact that your average party goer won't even notice a few small DJ mistakes. 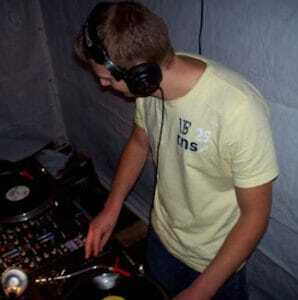 Before I was DJ I didn't even know what a mix sounded like when it was slightly off beat. Once you start DJing you'll notice another DJ's every mixing mistake. But most people don't notice unless it's really bad, and some still won't! People are just there to dance, not to pick faults at your mixing. If you worry about a tiny mistake it can take its toll on the rest of your set by causing a snowball effect. Worrying whether your mixing is good enough can even prevent DJ's looking for gigs in the first place. We'll learn more about this in DJ mistake number 19. As long as you take DJ mistake number 7 seriously and give it your best, you'll be just fine. 16. Poor use of the mixer - Not learning how to use the EQ when mixing. This should probably be higher up in the list of DJ mistakes! I hear it every time I go out, a DJ that can't EQ a mix. Bass-lines colliding and maxed out, and mids all over the place making the track sound tinny. It's such a simple thing to learn, but if you're struggling you can read my guide to EQing > HERE. You'll transform your mixing in minutes. 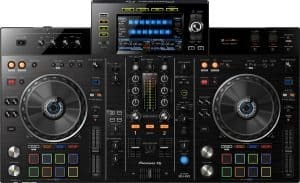 Another mistake DJ's make is ignoring certain functions on their hardware. Most controllers have secondary functions labelled below many of the buttons which are unlocked by the shift button. I meet many DJ's that don't even know what the shift button does. Some of my friends that have been mixing for as long as myself recently asked me what shift does! What the hell!! That's why I put a whole article together to teach people all about the shift button, read it HERE. 17. You only mix vinyl and won't touch CD decks or digital software. In my neck of the woods the underground illegal party scene is big. Guys will set up a rig in the woods and party all night (I've owned a rig and been a part of this too, so fun). These people are the typical vinyl heads that refuse to make the digital switch. Unfortunately they are holding themselves back. There is the odd underground club that still has a set of 1210's in the set-up, but it's very rare to find unless the club has a DVS (digital vinyl system). The fact is that if you refuse to mix digitally you will probably never make it as a club DJ. You have some great options, like the previously mentioned DVS, read my article on the best DVS here. Or if you are wondering what a DVS is go HERE. Keep your turntables but do yourself a favour and buy yourself a DVS, or at least some CDJ's to sit alongside your turntables. Fortunately I came to my senses and opened up a world of new DJing opportunities for myself. Digital DJing is totally different, I agree some things are easier, but you'll have lots of new things to learn. Things that make your sets stand out above the rest, like loops, samples, and slip mode. You'll also be able to carry thousands of tracks in your pocket to every gig rather than just 30 records! 18. Sticking to one genre of music. It's great to have that one genre that you specialise in, but sticking to one style of music can really hold a DJ back. I mentioned in my beginner DJ tips post > HERE that you should concentrate on one style of music when you're first learning. So if you are just starting out stick to one genre until you have beatmatching perfected. But if you've been DJing for a while and have the basics mastered you need to broaden your music collection. If you mix house music everyday you are constantly mixing familiar beats and not challenging yourself as a DJ. If you love house music then why not find other genres that mix well into it, like deep house, garage and techno? You'll add something different to your set and challenge yourself to learn new styles of mixing. When you've nailed that you can try completely different genres that don't mix well together. Figure out ways to mix them into the same set using clever blends, effects, and loops. When you can do this you'll find more gigs and your sets will become more varied and exiting to listeners. Check out this list of music genres, you've got a lot to choose from! 19. Not leaving the bedroom. So many DJ's will never leave the bedroom to play in front of a crowd. This is kind of upsetting, as when we begin DJing we all have that same dream. A dream of lighting up a venue and making the crowd go wild. We all want to make it to the position of playing regular gigs, but some people just don't take that step of searching for a gig and promoting themselves. Unfortunately if you don't go out and find it, the chances are that it won't find you. Make a point of visiting, or emailing one venue per week until you get a response. If you don't get a reply, email again. At some point all venues need new DJ's and one day you'll email at the right time. Some DJ's also get stuck in the I'm not good enough yet' mindset, when in reality they are more than ready. Look back at mistake number 7 and give the crowd your best every time you play. Then look at mistake number 15 and realise that your mixing really doesn't need to be perfect. It may be nerve racking playing that first gig, and believe me, DJ anxiety is very common. I've seen DJ's shaking, sweating, and even walking away from gigs because of the nerves. Playing a gig puts a lot of pressure on new DJ's. But when you get that first gig out of the way the second time will be much easier. And when you've done it you'll be buzzing for days, you'll then have something that's known as the DJing bug! Instead of getting nervous you'll be exited for your next gig and you'll feel much more relaxed. Be ready for that first gig by packing the right equipment, learn how HERE. 20. Not respecting your fans. The last one on our list of DJ mistakes is all about the fans. As soon as you start promoting yourself online, playing gigs, and handing out mixes, you'll attract fans. These people will look up to you and have an interest in your day to day business. They may be aspiring DJ's, regular clubbers, fans of your chosen genre, or people that just love your mixing. You may meet them in the clubs before or after your set, or online. Interacting with your fans is just as important as DJing. These are the people that will make your name grow as a DJ. It might be a tad annoying when somebody that has just drank 7 pints comes over and puts their arm around you, but just laugh at it and shake their hand. You should also try to reply to as many messages, tweets, or emails as you can. People reach out to compliment you, and it doesn't take long to say thanks. If the fans disappear you'll miss them, so while they are keen, respect them and make their day by interacting with them. Keep learning and improving your DJing skills. I hope you enjoyed this list of DJ mistakes. If you're guilty of any of them (I know I definitely have been in the past) try your best to change asap, as it could be hurting you as a DJ. DJ mistakes happen but the goal is to become the best DJ's we can be by learning every time we mix or play at a gig. Got any more tips or DJ mistakes for us? Just add them in the comments section below! Check out the some advanced DJing advice and tips > HERE. Ready for some new gear? Check out the top mixer choices > HERE. The top headphone choices with an essential buyers guide > HERE. And all of the top professional controllers > HERE.